This has to be one of the best decanter sets that we have had. 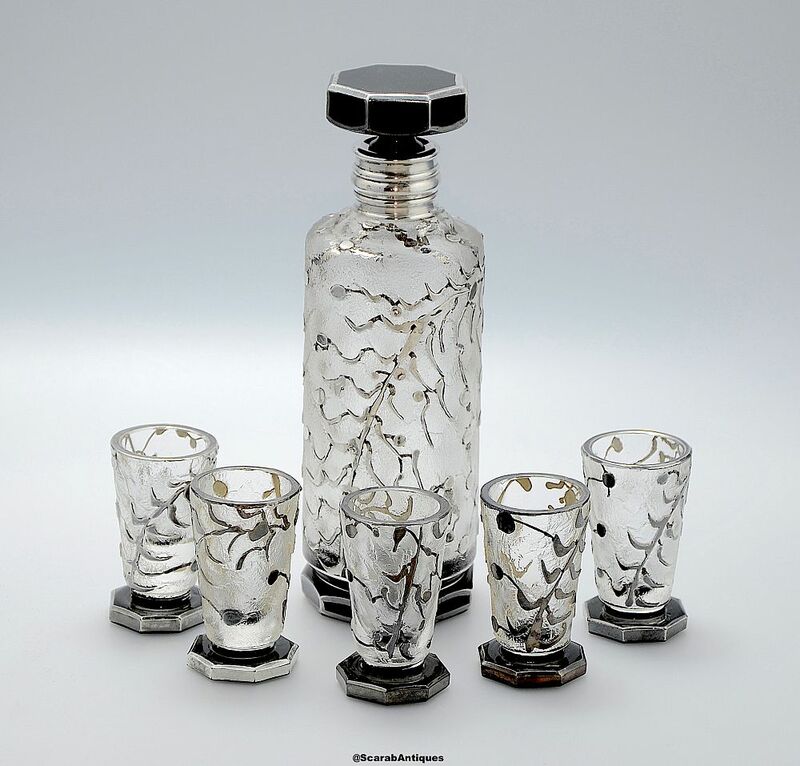 The bodies of the round decanter and the slightly flared glasses appear to be acid etched and then overlaid with an abstract floral pattern in white metal, possibly silver. The decanter and glasses all have black 8 sided feet the foot of the decanter being white metal edged whilst the feet of the glasses are completely edged in white metal. The neck of the decanter is completely overlaid with ridged white metal and the black stopper is 8 sided and white metal edged to match the foot of the decanter. Not signed.